Jewish Home Minister calls on PM not to block Judea, Samaria sovereignty bill, to come to Ministerial Committee for Legislation this Sunday. Agriculture Minister Uri Ariel (Jewish Home) called on Prime Minister Netanyahu not to block a bill for the application of sovereignty in Judea and Samaria, which is to be discussed in the Ministerial Committee for Legislation on Sunday. On December 31st, members of the Likud Central Committee gathered at the Avenue Conference Center near Ben Gurion International Airport in central Israel to debate the formal adoption of a plank to the party platform calling for the application of Israeli sovereignty over Jewish towns in Judea and Samaria. MK Yoav Kish (Likud), a first-term MK who chairs the Land of Israel Lobby, has drawn up a new bill based upon the resolution adopted by the Likud which would gradually apply Israeli sovereignty to communities across Judea and Samaria. The Ministerial Committee for Legislation, which brings together party leaders from the coalition every Sunday, determines which proposals are adopted by the coalition, and which are not. Coalition members are obliged to back bills supported by the committee, effectively guaranteeing passage. 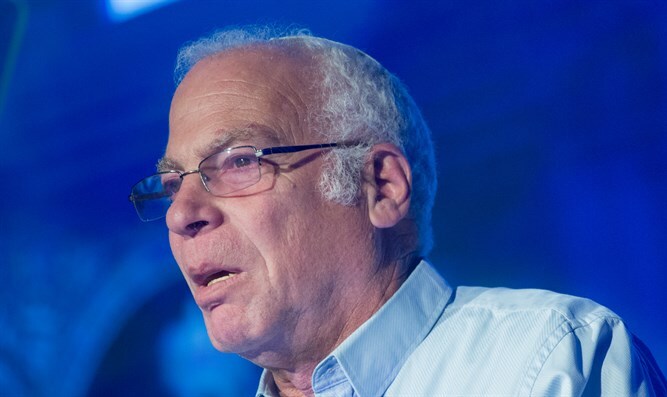 Ariel told Arutz Sheva that he promised that the Jewish Home Party would act with all the political power at its disposal to promote the application of sovereignty. "On Sunday, the bill of MK Yoav Kish and other Knesset members will raise the issue of applying sovereignty in Judea and Samaria. The time has come, the time has come for sovereignty, "said Ariel. "We will act with all our political and public power so that this law will indeed pass this Sunday," Minister Ariel emphasized.